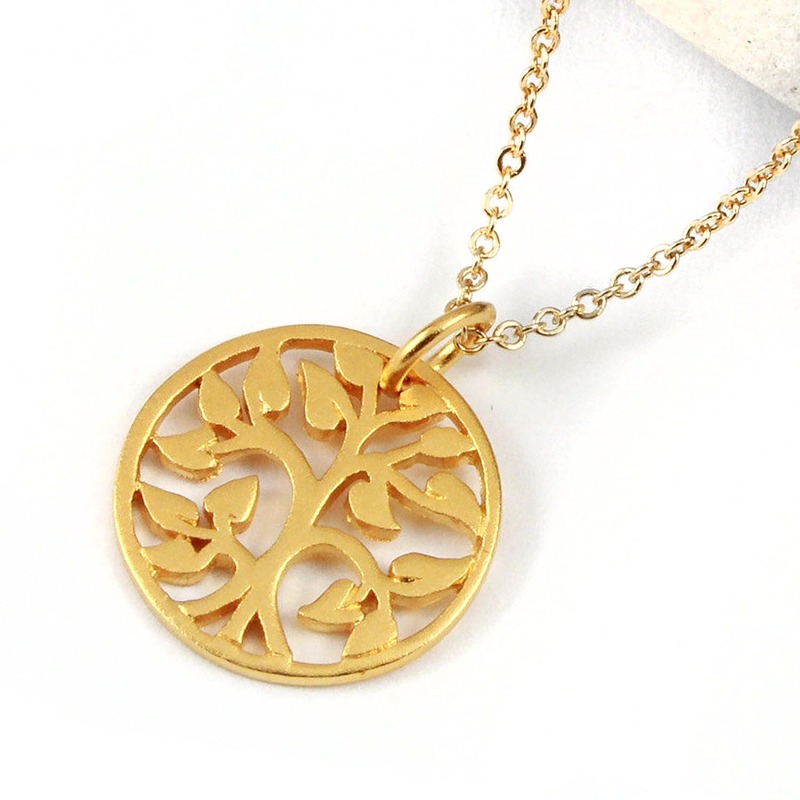 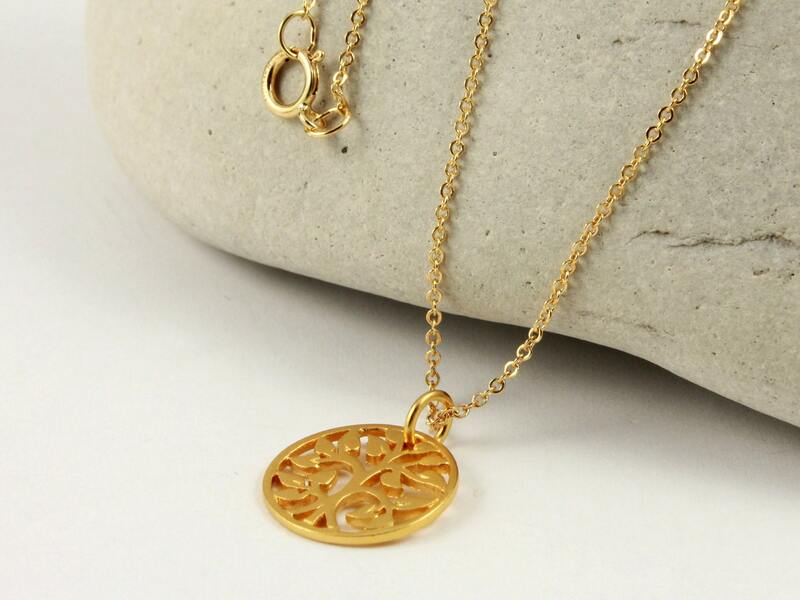 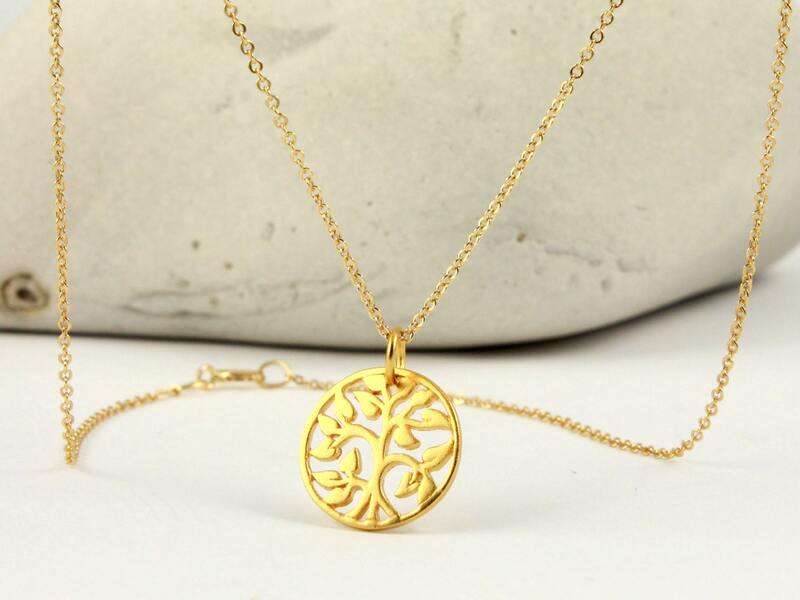 This simple and gorgeous necklace features a detailed tree of life design charm, hanging from 14K Gold Filled cable chain. 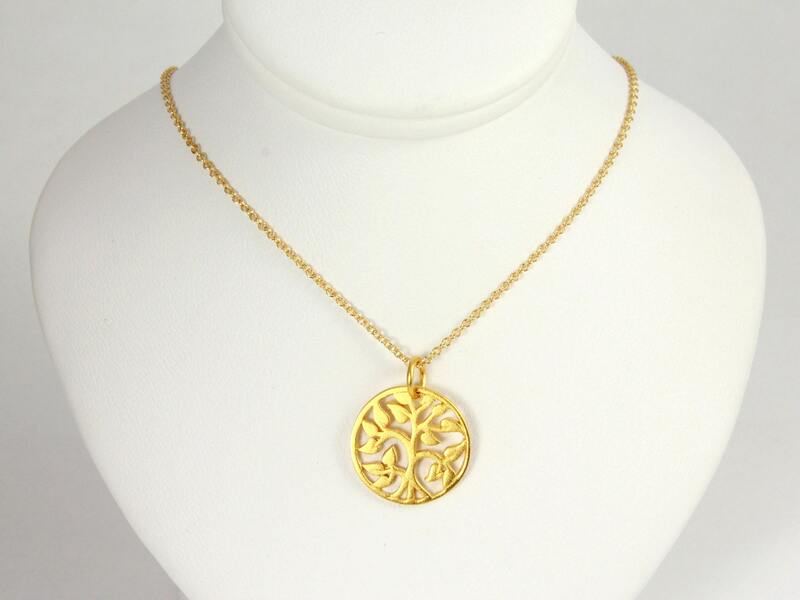 This family tree pendant measures 15 mm. 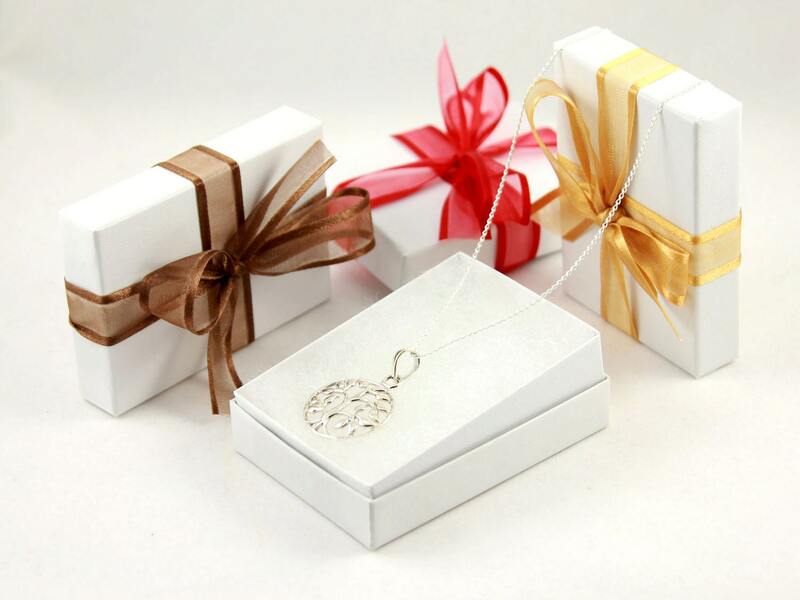 It is made of Sterling Silver, which is heavily plated with pure 24-Karat Gold, holding more significant layer than traditional plating.